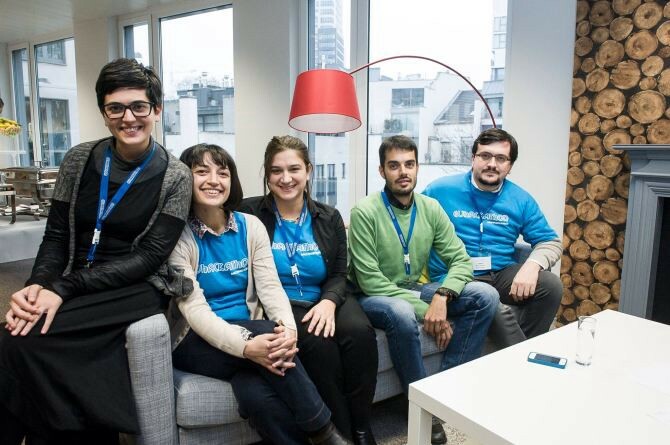 It has been four years since the team of the Italian national portal of open data OpenCoesione, while taking part in the first gathering of the Spaghetti Open Data community, proposed to transform a hack-athon into moni-thon, that’s to say a civic monitoring marathon of public funding. The idea was and still is simple: to choose a project that had received funding on OpenCoesione, organize ourselves into groups and personally go and verify how the money had been spent. In this post we will discuss the results of the Monithon initiative four years after its first experiments in Italy: Which projects were monitored? How? What were the opinions of users about the public projects? What problems were detected and how can they be solved? In a second post we will see what impact the monitoring had, in terms of creating new relations at local level and improvements in public decision making. 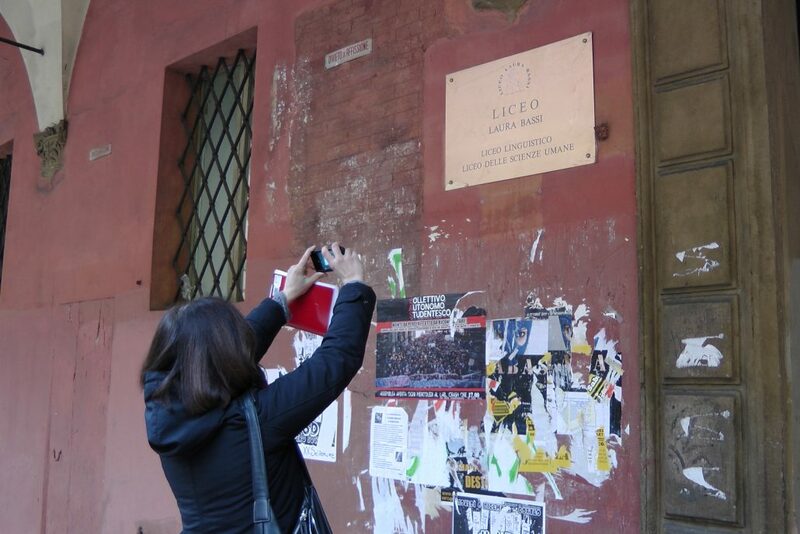 On 19 January 2013 it was fun to organize the first civic monitoring visit in Bologna, Italy. We were a small group of journalists, public administrators and curious citizens. The “Bar Giuseppe”, right in the city centre, which had received public funding to renovate its premises, intrigued us immediately. The bar was closed! But we went back there the following year. 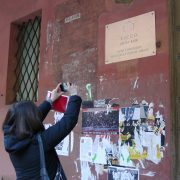 We went to take photos and knock at the door of schools in Bologna that had received funds from the Province to finance works, putting all acquired information into a Google Doc. It immediately became clear that just one day was not enough for a proper monitoring. We needed to make appointments for interviews, to analyze data before hand in order to find the exact address of the projects to inspect, to collect all the details in one place…. proper research work that requires weeks or months, as well as appropriate means. Basically what we call Slow Hacking. The turning point was the Open Data Day in Bari and the Journalism Festival in Perugia in 2014 which followed. During the event’s hackathon, the website Monithon.it was created: at the time it was a large map that pinpointed the most interesting projects to monitor. The code was based on an adaptation of the open source project Ushahidi, which had been used to monitor elections in Nairobi. The group included data journalists, analysts, activists and open data enthusiasts. With a zero budget, a bit for the sake of it, a bit for civic passion and a bit for the pleasure of sharing this passion with an open and curious community, Monithon evolved into a methodology and a platform to share the results of monitoring initiatives. The “Civic Monitoring Reports“ allow us to collect information that can be compared even when prepared by different monitoring groups. 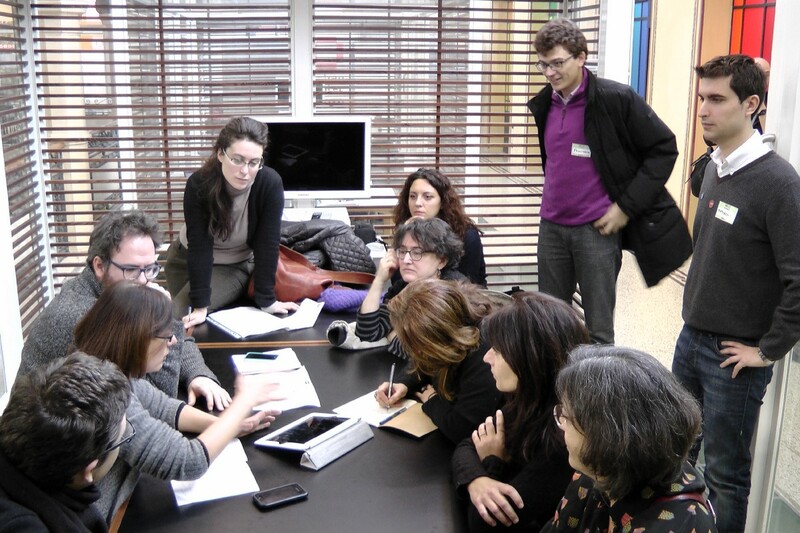 While these groups spread to almost all Italian regions, thanks to the campaigns launched during the Open Data Day of 2014 and the “Primavera di Monitoraggio Civico” (Spring of Civic Monitoring) of 2015, a central staff was involved in developing common instruments, in supporting activities on the field and validating reports that were being prepared for publication. The first concrete results were celebrated by no less than the UN’s General Assembly during the Open Government Partnership Awards, which saw the participation of Barack Obama: here the partnership between OpenCoesione-Monithon representing Italy at the event was ranked fourth in the world. The judges were struck by the capacity of a government initiative for open data to actively involve so many people. Monithon has continued to grow over the years thanks to the schools that take part in the project A Scuola di OpenCoesione, but also thanks to the involvement of universities, local communities and national associations, as a shared and open-to-all instrument and a format to plan and structure civic curiosity. The authors of the report are mostly, and increasingly, the teams of high-schools that are involved in the project A Scuola di OpenCoesione (ASOC), one of the initiatives of OpenCoesione. The students – who are extremely motivated – have happily “taken over the control” of the Monithon platform with dozens of new reports each year, and with a quality level that has improved dramatically over the years! We are also counting a lot on the future contribution of higher education students. In this post we discuss the adventures of the group of students in Turin of MoniTOreali. In the period 2013-early 2014, while we were in the phase of defining the methodology, the majority of reports were prototypes created by the Monithon staff or by individual citizens, some of which members of the initial group that experimented with the tools in their cities. The peak in the use of Monithon by local communities occurred in the spring of 2014 during the Open Data Day, when 12 cities throughout Italy did a “Monitoring marathon” simultaneously, all video-connected to Rome. Some of these communities remained active and continued to put pressure in order for problems to be solved. This is the case of the association Monithon Calabria or of the informal community Monithon Piemonte, which were explicitly created to promote open data and the civic monitoring of European funds. Over the last two years we have witnessed a strengthening of partnerships with major national associations. For example Action Aid Italia has participated with Monithon in a number of civic monitoring initiatives in the regions of Puglia, Marche and Emila-Romagna, which culminated in the joint participation in the Integrity Pacts tender of the European Commission, a huge project that has just started and offers great expectations! The networks Libera and the Gruppo Abele are another example of collaborations that have been ongoing for 3 years, thanks to which Monithon was able to develop a methodology for the civic monitoring of assets seized from criminal organizations, and of the relevant public financing, which was also used to start another grassroots project, Confiscati Bene. There are 177 Civic Monitoring Reports on Monithon.it. Each one of them examines a project financed with public funds: almost all of them (94%) were chosen starting from OpenCoesione.gov.it. Looking at the number of projects, 177 analyzed projects seems like a small number compared to the 930,000 currently listed on OpenCoesione. 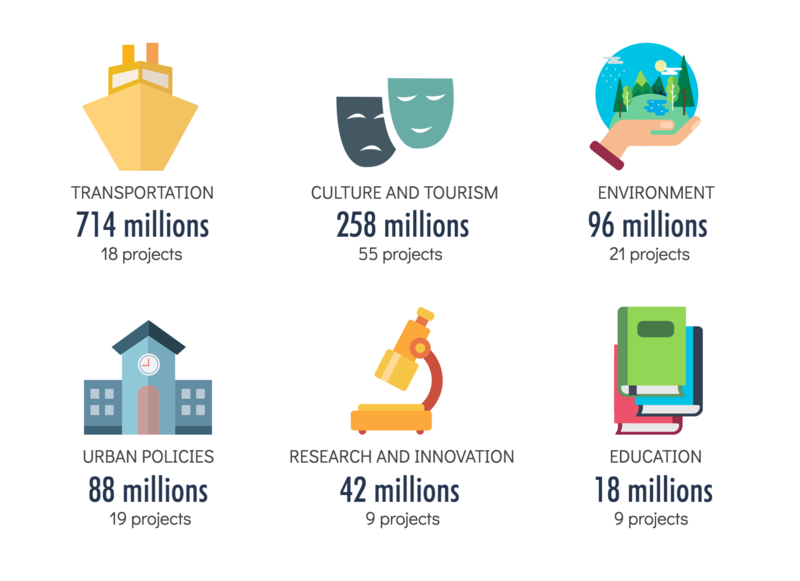 The truth is that the selected projects are often significant from a financial point of view, and this is why the total value of their funding exceeds 1.26 billion euro. It’s mainly resources that have been granted by the European Structural Funds and the connected national co-financing (which means the European Regional Development Fund and to a lesser extent the European Social Fund). The majority of the Monitoring Reports put the spotlight on projects for the preservation of the Italian artistic and cultural heritage, often very interesting for the citizens themselves, such as the renovation of museums, theatres, castles or archaeological sites, for examples the House of Venus in the Shell in Pompeii. In terms of public resources, however, it is transport infrastructure that holds the record with 714 million euro of monitored funding, equal to more than half of total funds. These are expensive and complex projects, which users have a lot to say about in terms of real impact. The Monithon.it post that was (far and away) most read by users discusses the 152 million euro allocated for Palermo’s rail circuit: a group of citizens, many of whom active in the Open Data Sicilia community, carried out an investigation to retrace its history. But there are also other types of project. The environmental theme is close to many people’s heart and 21 monitoring reports deal with this field. These are interventions that tackle the risk of hydro-geological instability (also in Milan! ), composting plants (for example in Salerno), purification plants (in Benevento, Catanzaro, etc. ), networks for air quality control, sanitary sewers (see for example Palermo). Monitoring groups are also interested in examining public interventions for the requalification of their cities or neighborhoods. With regards to urban policies, for example, a very in-depth analysis was carried out in March 2015 about the Walls of Pisa in the context of local territorial development. The nine research projects that were monitored were rather significant from a financial point of view. They range between medical and biotechnology research, to the construction of prototypes for the energy sector or of Information Technology. OpenCoesione calls them “implementing bodies”, as they are referred to in European Fund jargon. They include Public Administrations, bodies or state-owned, semi-state-owned companies or private companies that have the formal responsibility of implementing projects financed with public funding. The monitoring has privileged the local dimension. There are few projects managed directly by Ministries (9%), Regions (11%) or Provinces (7%), while 43% are implemented by Municipalities, a level that’s obviously close to the interests of civic monitoring groups. A 22% share of Reports came to grips with the fragmented and complex world of local governance, interviewing state-owned companies, in-house bodies, municipalized companies, hospitals. Others monitored local public authorities include park entities, mountain communities, government departments, schools. Only 8% of reports examined financing provided directly by privately-owned companies. In many cases these are not public subsidies for enterprises, but privately-owned companies that implement public interventions, such as the construction of rail infrastructure. Where are the monitored projects? Those who live in medium to big-sized cities in the South of Italy, and who pick up on this kind of thing, will have noticed in the most unlikely corners – in metros, outside churches, in public parks – a signpost with the EU’s flag that indicates a European funding. This is because the majority of European Funds, as well as national ones for territorial cohesion aimed at reducing the divide between Italian regions, is concentrated in Southern Italy. 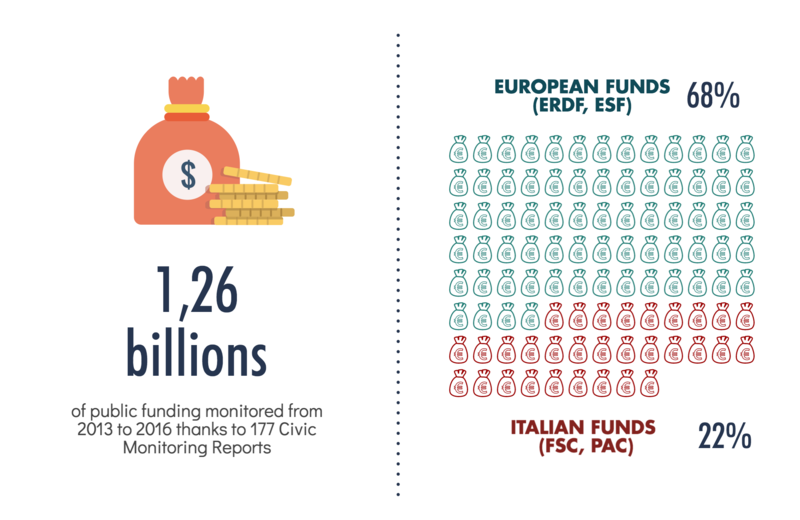 It’s no accident then that the majority of monitored funding is in the South, and especially in the provinces of Palermo, Naples and Bari, where the value of examined projects reaches 100 million euro. Among the greatest exceptions are Florence, Milan and Turin. The provinces of Sassari, Ragusa, Lecce, Cagliari, Nuoro and Monza follow with more than 20 million euro monitored. What are the sources of civic monitoring? How did the monitoring groups manage to collect the information? Almost all of them did desk research, so using the web to find information and pieces of news, starting with OpenCoesione’s open data. A special catalogue is represented by administrative sources, so public documents that often help to rebuild the project’s history and to answer questions such as: Why was the project funded? What are its objectives? Who is involved in the decisions that led to its funding? An 88% share of the groups inspected their projects, physically going to verify the progress of the project or the accomplished results, with videos and photos. In some cases the site inspection was not performed simply because the project…. wasn’t there! For example, it hadn’t been started yet and had remained a dead letter. This mustn’t necessarily be seen as a negative factor: the projects are tracked by OpenCoesione from the exact moment when funding begins and the works are yet to start, but will hopefully start shortly after. 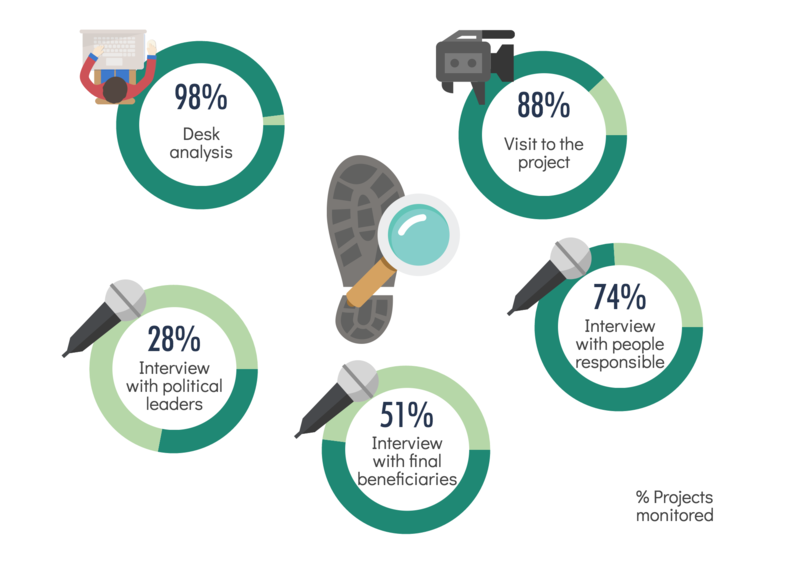 Those interviewed include people responsible for the interventions, such as public administrators (74%), the final beneficiaries, such as users of an infrastructure or service, and public representatives, such as town councilors, mayors or Province Presidents (28%). Let’s have a look at the actual results of the monitoring. First of all, it’s never easy to describe the results of a complex project: for sure nothing is ever perfect, neither is it all to be trashed. The “grey” areas are often prevalent and the qualitative assessment of Monithon users almost always reflects the difficulty in being clear-cut. What’s more, it’s Monithon’s own methodology that induces users to give importance to different facets, highlighting both the strong points and weaknesses of what they are examining. To understand this, you just have to read individual reports of Monithon.it. In 2014 however, during a presentation at the Center for Civic Media of the MIT in Boston, we were asked: “How do you think you will aggregately represent your results if you only have detailed qualitative descriptions?” Good point. So in 2014 we introduced the “synthetic assessment”. A way to force the monitoring team to choose between a defined set of synthetic options. What emerges is that the badly perceived European Funds didn’t perform so badly after all. A total of 67% of projects is assessed – with all the caveats – positively. In particular, 44% had been completed by the time of the monitoring inspection and was seen as useful. 23% is still ongoing but without major hiccups. 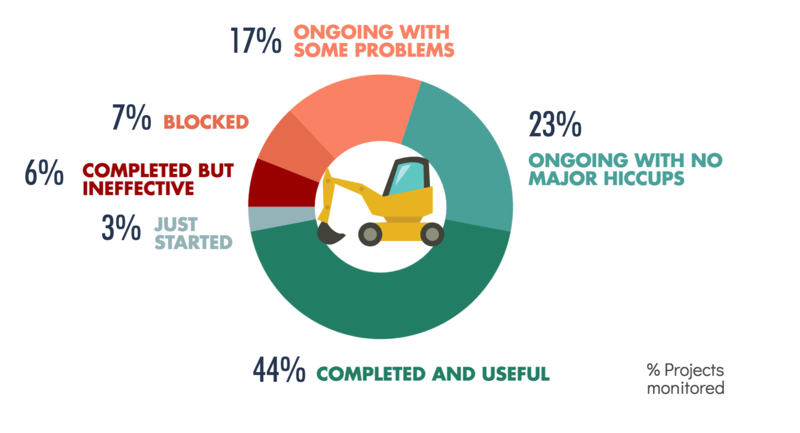 Among struggling project, 24% is ongoing and is also facing problems during the implementation (for example, it has been blocked), while only 6% of those completed are seen as ineffective. Only 3% could not be assessed because the projects had just started. It’s also interesting to see the assessment differences according to examined fields. Among the most relevant themes in terms of monitored financing, those that generated a more positive overall assessment are (considering both projects “completed and useful” and those “proceeding well”) research, transport and urban policies. 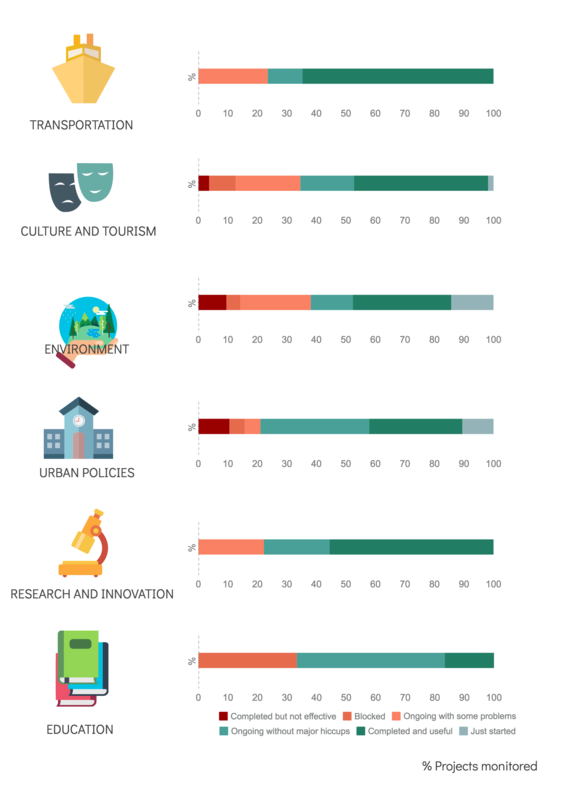 The themes with a more negative assessment are those in the fields of environment, culture and tourism and education. However it’s in the field of projects for cities that the highest percentage of “completed and ineffective” results are concentrated (10%). Moving on to the weaknesses, we can ideally position the projects in a time sequence which starts with the launch and the financial management, moves on to the implementation (the actual works), then to the result (so to see if what was promised was delivered) and finally to the impact (if what was created is effectively useful from the point of view of final users). A total of 5% of projects was blocked during the launch phase and so they never started, for example due to a delay in the granting of a permission, or because of legal disagreements or judicial inquiries. For example the Municipality of Matera received a 2.2 million euro funding for a Museum that was never built, at least up until April 2015, when the monitoring took place. Problems of an administrative nature affect 12% of monitored projects, for example due to failed transfers of financial resources, cut funding or to blocks caused by bureaucratic procedures. For example two major research projects are struggling because of problems in effectively accessing funding: a biotechnology research center in Palermo (22 million euro, monitored in April 2016) and a project for the creation of an ecological minibus in Catania (450,000 euro, April 2016). Almost one fifth of projects had problems during the implementation phase, which led to longer or shorter delays. There are many reasons for this: technical problems, lack of financial coverage and delays in the provision of funds, ongoing judicial inquiries, etc. This is the case for example of an old people’s home in Monte Sant’Angelo (Foggia), where works were only partially completed and, at the time of the monitoring inspection in April 2015, there was an ongoing legal procedure between the municipality and the contractor. A more serious case is the one of the restoration of the Church of Galatone (Lecce), which has been in progress for 20 years and has yet to be finished despite the European financing (monitored in May 2016). Things went slightly better with the “Su Siccu” bike lane in Cagliari, which was finally completed after 11 years. Only in a small part of projects (3%) were the works finished, but the results were no longer what was initially expected. The difference between the result and the real effectiveness of the project is a thinner line. The impact of the project can be negative even if the result is completely compliant with what was promised on paper, something that occurs in 6% of examined projects. 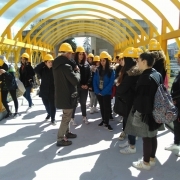 First of all the project might not respond to user needs: in the spring of last year the high-school “Galante” in Campobasso asked citizens for their opinion about the new service to match the demand and availability of work of the Employment Center. The verdict: the service is a failure. Or the project might be finished, but not completely operational. Although the renovation of a centre to welcome refugees in Bovalino (Reggio Calabria) was completed successfully, the structure risks being abandoned due to “a lack of furnishing and staff for the management”. This is what was verified in April 2016. 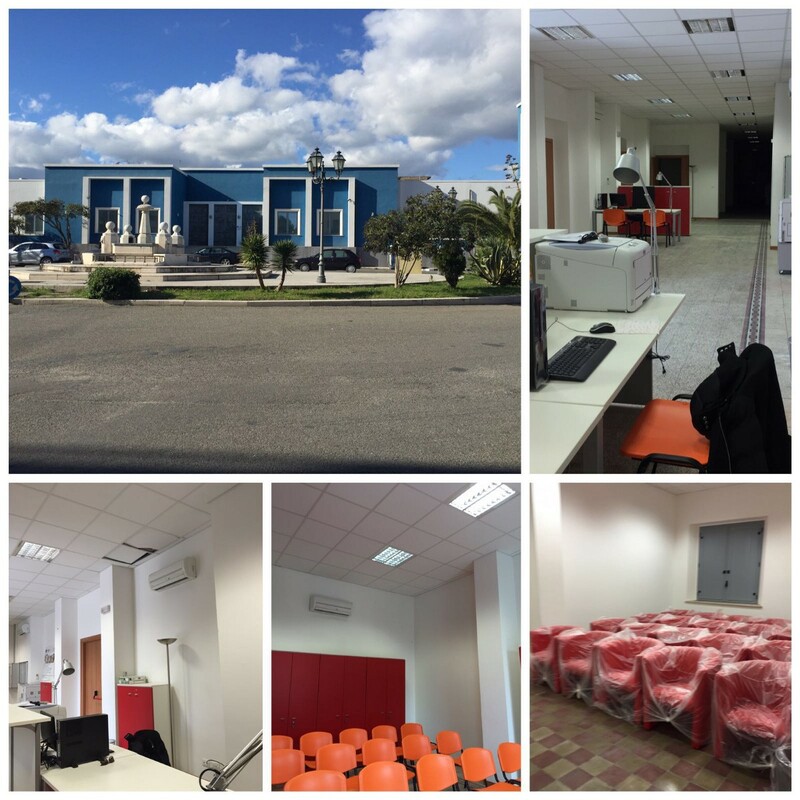 A similar destiny also awaits the centre for youth aggregation “Cura et Valeas” of Locri, which was created using a building seized from a criminal organization and specifically renovated. In order to become operative though an association needs to take over its management and for the time being the Municipality’s call for bids has been deserted and nothing seems to be stirring. The case of the Ancient Thermal Baths of Castellammare di Stabia are also disturbing : they were restored with a 12 million euro funding, but at the time of the monitoring in May 2016 were still not open to the public and “ 4 years later have been left in a state of abandonment and serious neglect”, given that the “works financed with European funds was never inspected, also due to the crisis of the management company Terme di Stabia S.p.a., that went bankrupt in 2015”. Lastly, an infrastructure can be created perfectly, but may lack the authorizations necessary for it to become operative. This is what happened to the helicopter rescue pad in Agira (Enna), visited in March 2016, when they were just waiting for a final approval stamp from ENAC to allow it to open. Another emblematic case is the problem of the lack of complementary interventions, possibly financed by other types of public funds (national or local), without which also the examined project will not have the right impact. This is the case of the renovation project of the Old Hamlet of Cerignola (Foggia), visited in April 2016: everything was completed in time and to high standards. Unfortunately due to a lack of adequate policies for urban valorization the hamlet suffers from “neglect”, “dirt” and “phenomenon of stray animals”. Another example: a social innovation project has created a prototype , but in order to have a real impact it needs further financing to be launched on the market and to generate positive effects on the life of people. This is the case of Energy@Work near Brindisi, which was monitored in 2014. “And what happens now?” Civic monitoring groups, having assessed the results and the impact of a project, are asked to provide the most precious component of the initiative: ideas, recommendations, concrete proposals that can lead to improvements. The majority of user advice, which concerns 36% of monitored projects, are accurate and specific suggestions for the examined project. They can be of a technical nature (for ex. the materials to be used for a renovation) or of a procedural-administrative nature (how to improve relations between two institutions, or the verification procedures to release payments…). Some suggestions, for example, regard the possible use of renovated assets (for example, those claimed from criminal organizations), so that they are truly useful for the local communities. Other suggestions highlight the need to improve the project’s communication (15%). This is a good sign. It means that the project, almost always assessed as useful, needs to be communicated in a better way to ensure greater effectiveness. Furthermore this is an old obsession of those in charge of the communication of European Structural Funds, who believe that funds – so Europe – are only mentioned when there are negative situations, while good things are not communicated or are communicated badly. This is also true for comments according to which the monitored project should be continued or developed further (6%), for example to transform an experiment into a “fully operative” reality. Lastly, some comments (7%) concentrate on the need to improve the projects’ governance. This term indicates many things: to improve collaboration between institutions to resolve problems of an administrative nature, to improve coordination between public and private bodies, but also include the citizenry more in decisions about how funds are used, and in particular the final beneficiaries of the interventions. All in all, this small journey in Monithon’s civic monitoring proves at least two things. The first is that using public data for a real accountability action is a huge effort, as well as an amusement. The data, despite being open, does not answer the universe of questions for responsible administrations, but on the contrary raises more. The novelty is that the funds we explored have reached that critical mass of transparency that allows anyone, as long as he or she is well organized and willing to study (that’s right, to study), to use the available information as a base for further research. These generally lead to the discovery of something useful also for the administrations, for example the impact of financed projects on the life of people. The second is that, having acquired new tools, local communities are willing to work hard. You can see this in the very adult faces of the young kids that thanks to civic monitoring projects start to understand how public policies can improve their cities or guarantee more opportunities for their future. You can understand this by looking at those entities that everyday work to achieve their civic objectives and that by learning how financing works are provided with new weapons, acquire new powers and are more effective in using their energies. Are our public administrations ready for all of this? How many of them are in turn willing to make the effort to listen, be accountable and take the necessary steps? As they say, we will find out in the next episode. In the next post we will examine the impact of civic monitoring, so whether and how the results we have seen have been used and what changes have they generated. We will report some cases with the intention of starting a good discussion. Which, of course, can already start now.